You’ve done the hard yards – probably a busy year flying with Singapore Airlines for work, and maybe with a credit card sign-up bonus to boot. Now, armed with a stash of a few hundred thousand KrisFlyer miles, what could you do with them? One option is a business class Star Alliance Round The World Award for 240,000 KrisFlyer miles. With a standard Sydney-London return flight in business class clocking in at 232,000 KrisFlyer miles, just 8,000 miles more could see you circling the globe instead. That’s with up to seven stopovers of more than 24 hours at cities of your choice, up to 35,000 miles (56,327 km) worth of flights, and up to 12 months to enjoy the journey – all at the front of the plane. It’s great for anyone who was already going to book a return journey to somewhere far like Europe but now can literally explore the whole world for just a few thousand more KrisFlyer miles. Of course, nothing this rewarding in life is easy: the booking will require a lot of research, has limited flexibility and can be quite difficult to put together. If that doesn’t faze you, here’s what you need to know about booking a round-the-world trip with your balance of KrisFlyer miles. With the difference between economy and business just 60,000 KrisFlyer miles, a business class round-the-world journey is definitely the one to aim for. Of course, each flight will need to have business class saver fare availability, just like when you'd normally book a flight using frequent flyer points. The trip needs to start and finish in the same country, but not necessarily the same city. Within Australia, you’d be fine to depart from Sydney and arrive back in Melbourne if that suited you. You can include any of the Star Alliance member airlines in your itinerary. 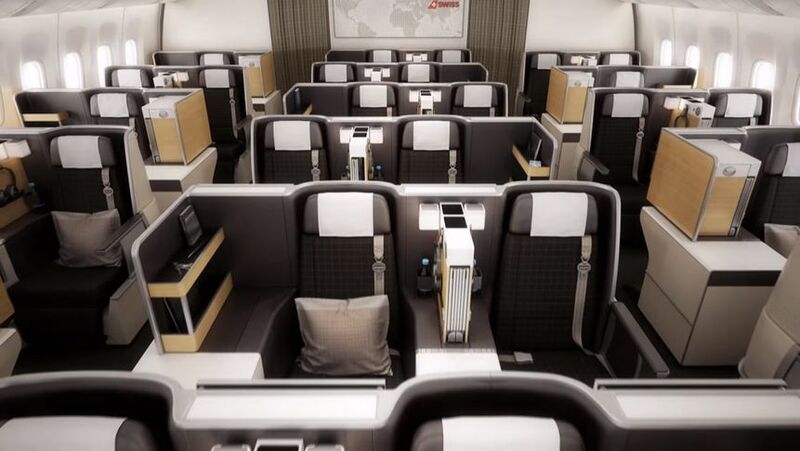 Unfortunately, you won't be able to include SWISS first class in your round-the-world journey and if you plan to include a Lufthansa first class flight, it won't be possible until 14 days prior to that departure: impractical for most people looking to finalise their full itinerary in advance. 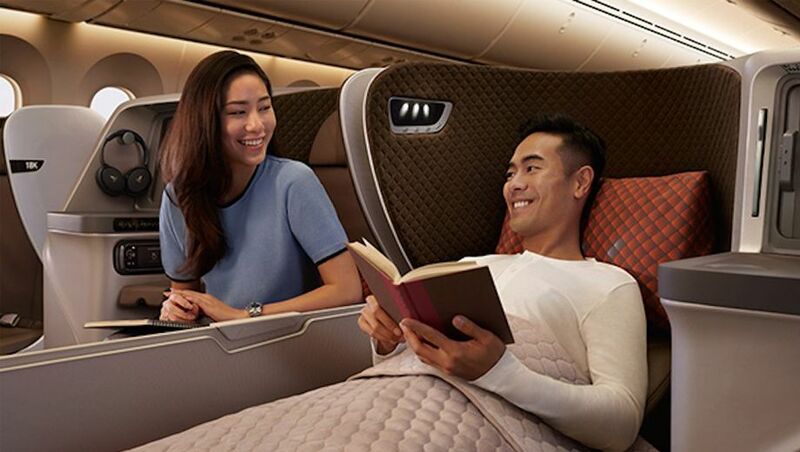 Be mindful that it's difficult to find business class rewards on Air New Zealand flights as well, and that non-Star Alliance partners of KrisFlyer such as SilkAir and Virgin Australia can't be included in the award either. You'll need to fly continuously east or west without backtracking, cross the Atlantic and the Pacific Oceans only once, and not exceed 35,000 miles in total distance. You can visit up to seven cities on this trip for more than 24 hours each – these are referred to as 'stopovers'. Any stops under 24 hours between two flights are called transits instead and don't count towards the seven-city limit, even if you leave the airport and stay the night there. Stopovers are limited to once per city and twice per country. While there are no restrictions on the number of under-24-hour transits, you won't be able to have more than 16 individual flights in your itinerary either. 'Surface sectors', where you make your own way between two cities such as from Los Angeles to San Francisco, count both cities as stopovers so try to avoid doing this unless necessary. Finally, you can change flight segments for a fee prior to departing, but once you've taken the first flight, all future legs cannot be changed or cancelled. Once you’ve got your head wrapped around those rules, it’s time to start planning. In most cases, it'll be easiest to search for business class seat availability through the Singapore Airlines KrisFlyer website. It's easiest to search one flight segment at a time, as if you were booking each flight as a one-way trip, rather than a multi-city. Start by plugging in your proposed flight details, ensuring 'Redeem flights' is checked. Choose the desired travel class and don't forget to select 'Flexible travel dates' if you're open to more options. Next up will be a calendar showing a snapshot of seat availability. You need Saver seats for a round-the-world booking, so there are only three options in this example week (Monday, Wednesday and Thursday). The next page shows individual flight details. Only the first flight has Saver availability in business class, so that would be the sole option for your RTW itinerary. Sometimes, Star Alliance partner options won't show up on Singapore Airlines' website. This is where United's website comes in handy as a backup since it will allow you to search for Star Alliance availability without needing to log-in. Head to the United home page and put in your flight details, ensuring 'Book with miles' is ticked. Once again, we're looking for Saver awards in your desired travel class. You can safely ignore the number of United miles needed here, as we're only interested in the presence of Saver award seats, which tells us Singapore Airlines should be able to include it in your RTW itinerary when it comes time to book. Using both Singapore Airlines' and United's search engines, you should get a good idea of what flights you can include in your booking. Keep track of all the flight details if you find availability and try to be flexible if possible, by checking on either side of your desired flight dates. In big cities, it'll also help to search multiple airports within that city, such as Heathrow, Gatwick and London City for London, in case there's a different flight with a business class seat open. Once your ideal trip is planned out, make use of the Great Circle Mapper or similar tool for verifying the total distance of your trip and ensure you’re not ‘backtracking’. All you need to know is the three-letter airport code for every destination. Once you've pieced it all together, call KrisFlyer membership services on (02) 8228 1188 from Australia (or +65 6789 8188 from overseas). Tell the operator you want to book a 'Star Alliance Round the World Award with KrisFlyer miles' and carefully feed them all the flight details including airline, date and flight number. Assuming you satisfy all the rules and availability can be found, your KrisFlyer miles will be deducted based on the highest class of service within your itinerary. What that means is even if there's one first class flight in an otherwise business class itinerary, the whole booking will be charged at first class rates (360,000 miles instead of 240,000 miles). To avoid being slugged this difference, keep all legs in business class when you're aiming for a business class reward, or as a backup, even in premium economy or economy if there's no business class availability. In addition to the KrisFlyer miles needed, you'll also need a credit card to cover the associated taxes and surcharges of your booking, which will vary wildly depending on what airlines and cities are included. Even though the round-the-world reward is well-suited to long and complex itineraries spanning many countries and months, it's also equally useful for simple dashes across the world. For example, take the Sydney-Beijing-Paris-San Francisco-Sydney routing in the image further above. Those business class flights would need a hefty 407,500 KrisFlyer miles when booked separately under Singapore Airlines' revised Star Alliance reward chart, but only a flat 240,000 miles when booked together as a round-the-world reward, leaving you with many more miles in your pocket for a future trip. Thanks Brandon, will the domestic US sectors (eg LAX-IAD) in F Class count towards the F Class RTW trip or J Class RTW trip point requirements? Love this, you've just saved me a lot of hard earned points! Thank you! Comment on "Booking a round-the-world trip with KrisFlyer miles"